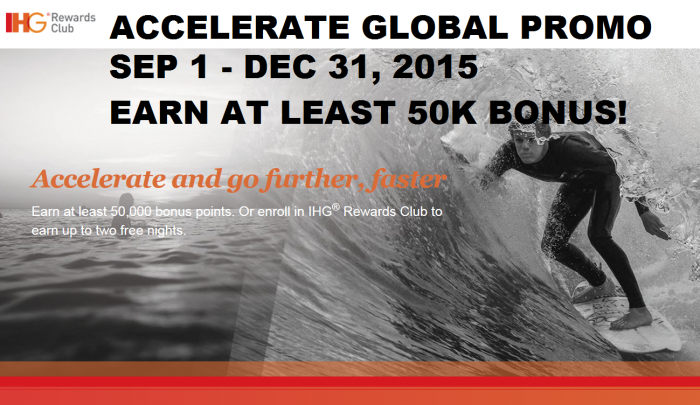 IHG Rewards Club is about to launch their fall 2015 promotion that is called ACCELERATE. Please post your personalized offers on the comments section. IHG Rewards Club members will receive targeted offers based on their recent stay history and new members receive base level offer for free nights. New members can earn a free night after two stays and second free night after another two stays for maximum two free nights after four stays. This is for my IHG Rewards Club Spire/Royal Ambassador account that has 88 qualifying nights so far in 2015 of which 7 are awards and 31 rollover ones from 2014. Finally my personalized offer stay requirement is so high that I doubt that I would complete it. That’s the way these promotions work. The two free nights after just four stays is an excellent offer for members that are just joining the program. 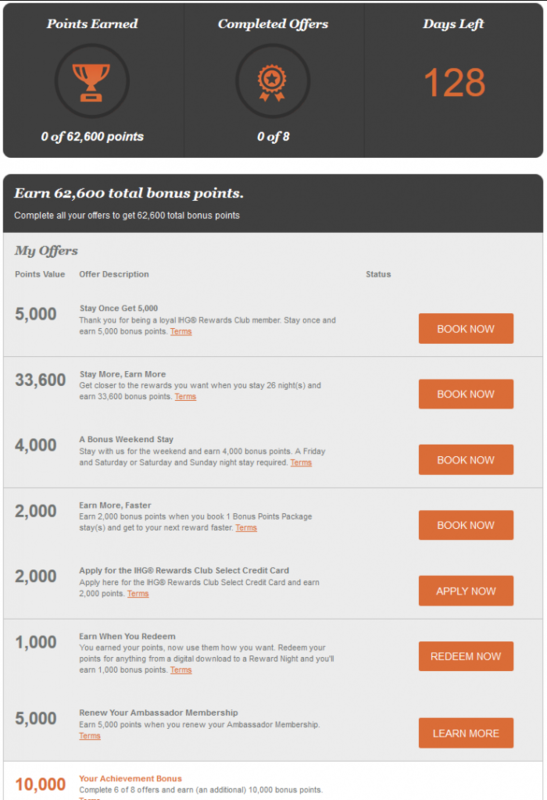 Those two free nights can be worth up to 100,000 IHG Rewards Club points if used at 50,000 points per night properties. Please post your personalized offers below so that we can compare them. Note also you IHG Rewards Club status, total nights in 2015 with possible rollover and award nights. Next articleHate Your Airline? You Are Not Alone! !